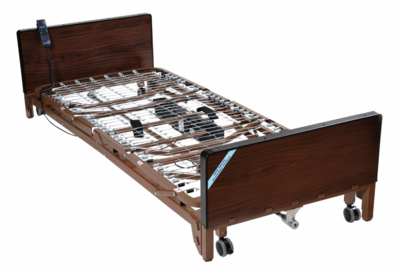 This adjustable low hospital bed is full electric and is ideal for use in home health care. 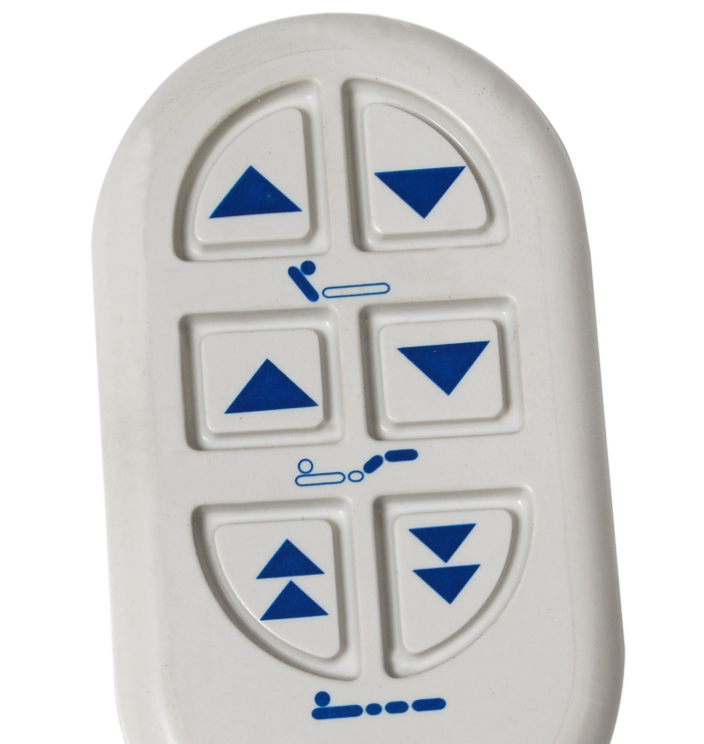 The low deck lowers to 9.5" and extends to 22 7/8" The easy to use remote raises the head, feet, and height of the bed frame with a push of a button. The motor is UL approved and self contained to provide a smooth low noise operation. 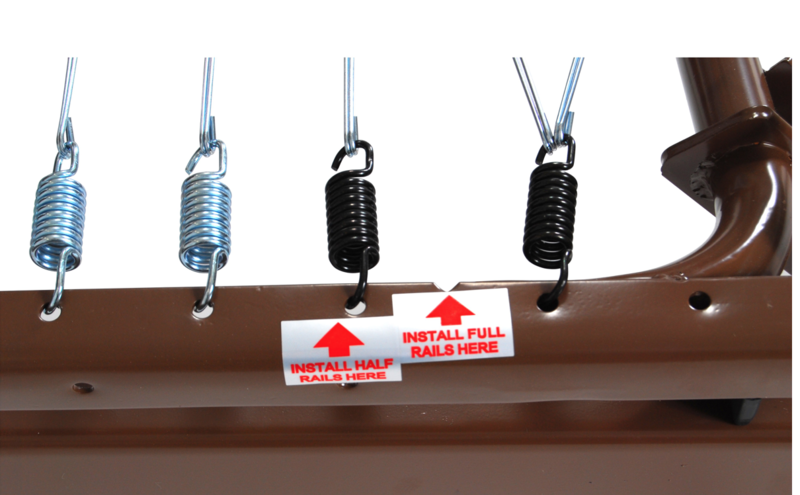 The head and foot boards are scratch resistant and easy attach to the bed frame. This hospital bed is easy to assemble and requires no tools. 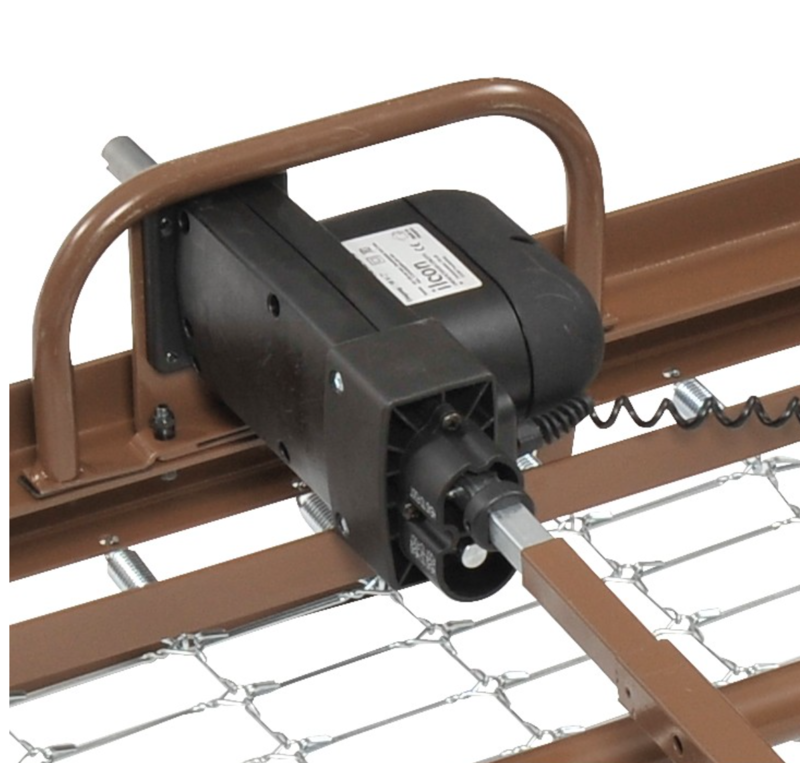 The height-adjustment and Head/Foot deck motors come pre-installed on the foot section; no assembly required In the event of power failure, top mounted Hi/Lo crank adjusts the bed. 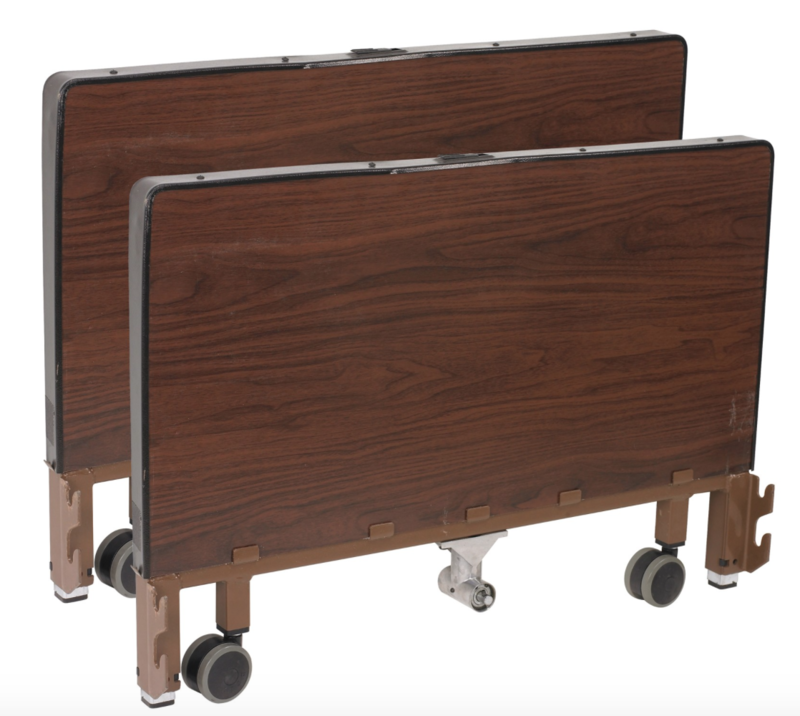 Satisfies all applicable FDA entrapment guidelines Extension kit available extends length from 80" to 84"
Bed Height Minimum Without Casters	9.5"
Bed Height Maximum With Casters	23.5"
Carton Shipping Weight	191 lbs. Weight Limit	450 lbs Maximum weight limit includes weight of occupant, all accessories such as mattress, side/assist rails, trapeze, any personal affects, etc.